Matheus Reis is a PhD student at the Centre for the Study of World Christianity, University of Edinburgh. His research focuses on Brazilian Protestantism in the United States. This essay continues our series discussing issues raised in the ‘Currents, Perspectives, and Methodologies in World Christianity’ conference at Princeton Theological Seminary held 18–20 January 2018. Our series began with a reflection on the conference by Jason Bruner on 30 January and continued with posts from Elizabeth Marteijn on 13 February and 19 March. The recent conversation on this blog has been focused on World Christianity’s methodologies. Both Jason Bruner and Elizabeth Marteijn note that the quest for interdisciplinarity and openness is a mark of much current research. In this post, I look at how Latin American Christianity in the United States presents an opportunity for interdisciplinary study, and I offer some benefits that may arise from such a study. Andrew Walls identifies two principles in Christian history that lie in tension with one another, namely the indigenizing principle and the pilgrim principle.1 On the one hand, the indigenizing principle refers to one’s desire to connect to his/her society as a Christian, to make the faith “a place to feel at home.” On the other hand, the pilgrim principle reminds Christians that aligning with Christ will inevitably mean a misalignment with society, “for that society never existed, in East or West, ancient time or modern, which could absorb the word of Christ painlessly into its system.” Walls also contends that Christians possess dual citizenship, and their allegiance to the family of faith surpasses any other allegiance they may have by nature. The Latino Christian community in the US serves as an important example of these two principles. 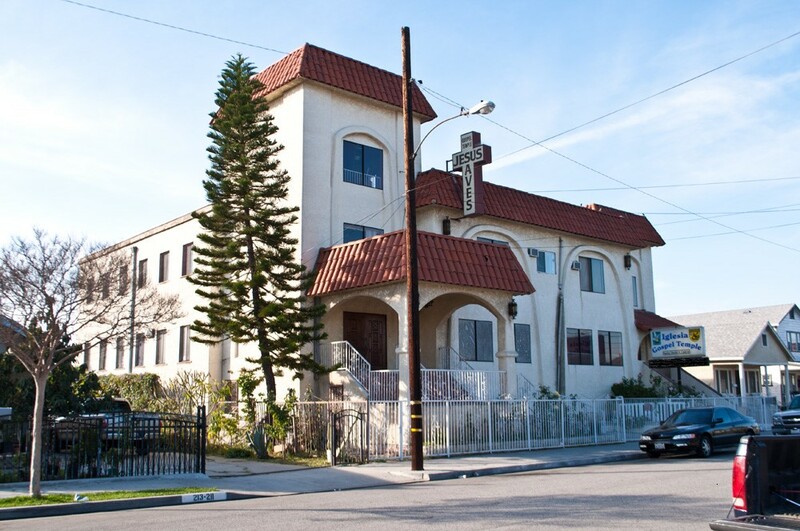 Like other diasporic faith communities, all Latino Christians regardless of denomination have had to learn how to exist in a foreign land, with literal and metaphorical dual citizenship.2 As a minority immigrant community, they have had to learn how to exist as a community of faith amidst oppression and persecution. This not only gives them unique insights into the biblical context of certain scriptures that speak of oppression and persecution, but they are also able to teach others how to live out their faith in similar contexts. The study of World Christianity reminds us that all theology is contextual. Another interesting dimension in the study of Latino Christianity in the US is the issue of generations. Walls’ tension between the indigenizing and the pilgrim principles becomes even more evident as one studies later generations of Latino immigrants in the US. Research shows that later generation Latinos are more disconnected with their heritage than foreign-born ones.3 However, a different dynamic appears when these later generation Latinos still face the struggles of being part of a minority, even though they may not see themselves as such. This creates a phenomenon that I would call “ethnic homelessness,” which is the inability to feel at home as either a Latino or an American. These later generations of Latinos have an even more acute struggle to forge their identity. The study of this complex identity-shaping process endured by Latino immigrants in the US points to the important resurgence of a more significant identity, namely that of Christian. One’s identity as a Christian should surpass any national identities, and local churches should provide people a place to come together as equals, regardless of their ethnicity. As Bruner contends, World Christianity serves as the perfect forum for a Christianity that is able to transcend ethnic borders. The study of Latino Christianity in the US serves as a great example of the need for interdisciplinarity in the field of World Christianity, as it invites scholars to bring history, ethnography, and theology together. History situates Latino Christians in the US. What events shaped their identity? How were these events interpreted? How did they arrive in the US and why? What struggles have they faced as foreigners? As one begins to delve into historical questions, a clearer picture emerges of what it means to be a part of the group. Understanding their life experience plays a large role in understanding the negotiations that take place in the context they live in. However, historical narratives alone do not suffice in the study of contextual theologies that are lived out in the present. Interdisciplinarity, then, becomes key in the process of understanding such theologies. I agree with Marteijn that the exercise of contextual theology requires reflection on human life, which benefits from ethnographic fieldwork. Mark Gornik proposes that ethnographic study is fundamental for understanding “the questions and answers of faith at the heart of theological activity.”4 There is much to be gained from the study of diaspora communities, especially as it pertains to learning how to live out the Christian faith from the margins. It is my expectation that in a post-Christendom world, this ability will be most necessary. This entry was tagged American Christianity, Diaspora, Latin America, Migration, World Christianity by CSWC. Bookmark the permalink. The Centre for the Study of World Christianity (formerly, the Centre for the Study of Christianity in the Non-Western World) is a research centre in the School of Divinity in the University of Edinburgh. Great points raised by Matheus Reis, I suggest that having common moral challenges, the Latino Christian Communities can find grounds for a successful United diverse Christ Centered Church and diminishing the walls that divide us in America. Insightful and thought provoking! Not surprising, coming from you, Matt.